Throughout July and August, SPES’ EcoRangers will be roving Stanley Park providing visitors with nature interpretation, wildlife viewing tips and advice, helpful hints about cultural attractions, and more! 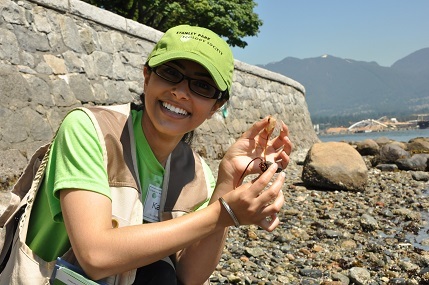 In preparation for the summer ahead, our awesome team of over thirty-five volunteers has been busily learning about ecology and nature stewardship in Stanley Park. This year, with the help of Lauraleigh Paul, a new SPES educator, our EcoRanger volunteers participated in indigenous cultural sensitivity training. Through this training, EcoRangers are prepared to appropriately and respectfully approach issues of indigenous culture within Stanley Park, an area rich in First Nations’ history. 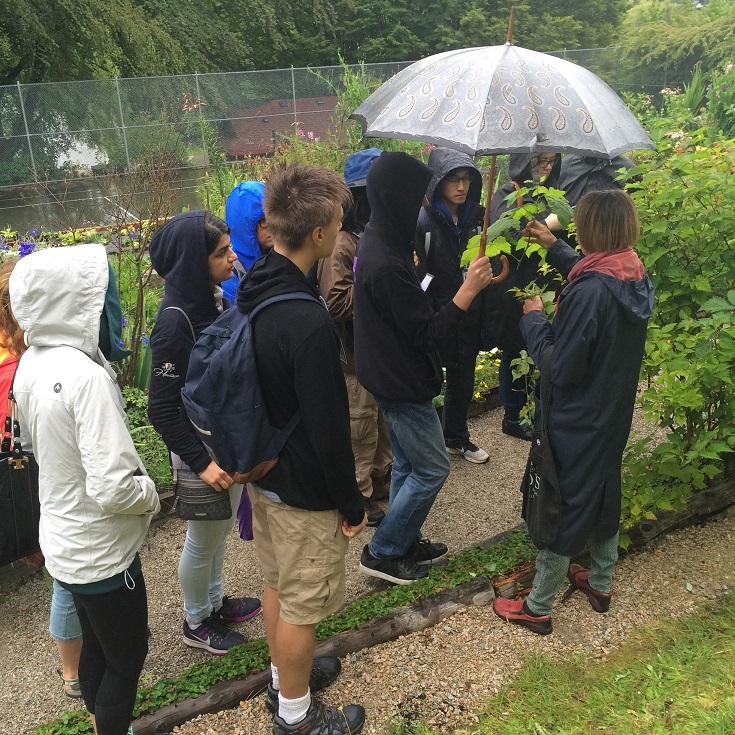 EcoRanger trainees learn about Stanley Park plants in SPES’ Native Plant Garden. EcoRangers have also received training from some of the Lower Mainland’s star nature interpreters, including Michelle Duncan and Amy Elvidge. Our very own Native Plant Garden volunteers, Jill Taylor and Wilma Mosmans, taught EcoRangers about a diverse range of native plants found in the Park, from salal to nodding onion. With Greg Hart, our Urban Wildlife Coordinator, EcoRangers learned the basics of birding and will be ready with binoculars and guide books to help you find and identify our winged friends this summer. Thanks to Kari Pocock, our Stewardship Coordinator, EcoRangers will also be ready to educate Park visitors on our most problematic invasive species. Ask an EcoRanger about Stanley Park beach creatures! Beginning July 3rd, EcoRangers will be out in the Park, eager to share their knowledge! Don’t hesitate to approach them with any questions or curiosities you might have about the Park’s ecology. Collectively speaking over ten languages, and brimming with enthusiasm for nature, our EcoRangers look forward to meeting thousands of locals and tourists over the next two months.